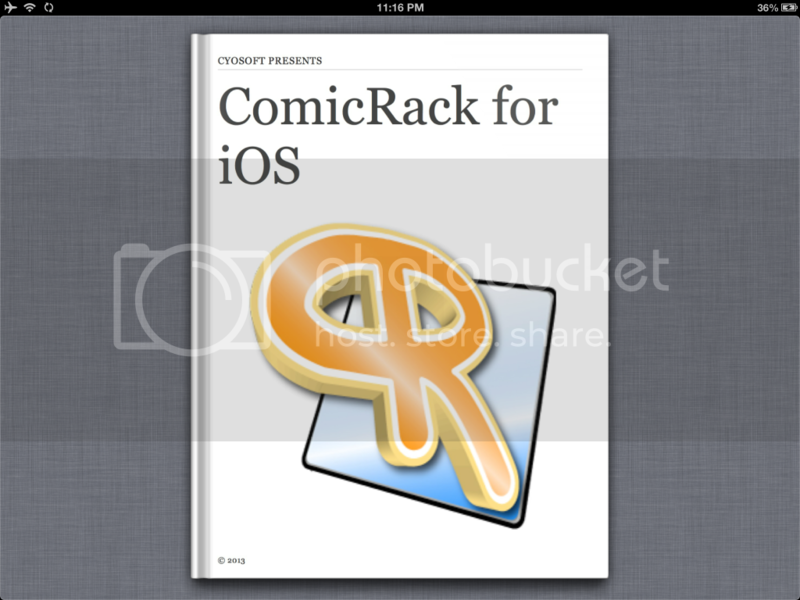 TOPIC: CRiOS Manual on iBooks? 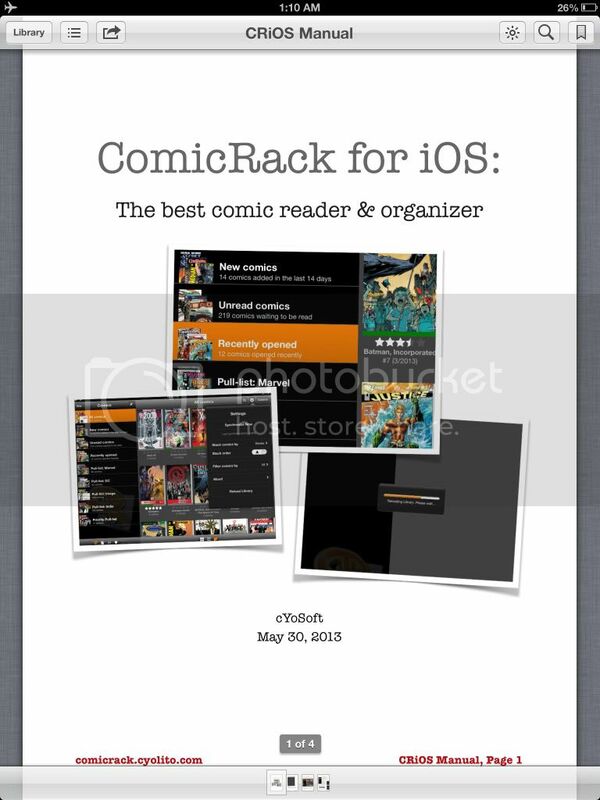 I've been toying with the idea of publishing a manual for CRiOS on the iBooks Store. It would be great for iPad users who purchase CRiOS to get the user manual on the iBookStore as a simple & accessible download. So, tell me, if there is any interest in this, I can try & make a manual here. Would it be any useful? cYo, what do you say? 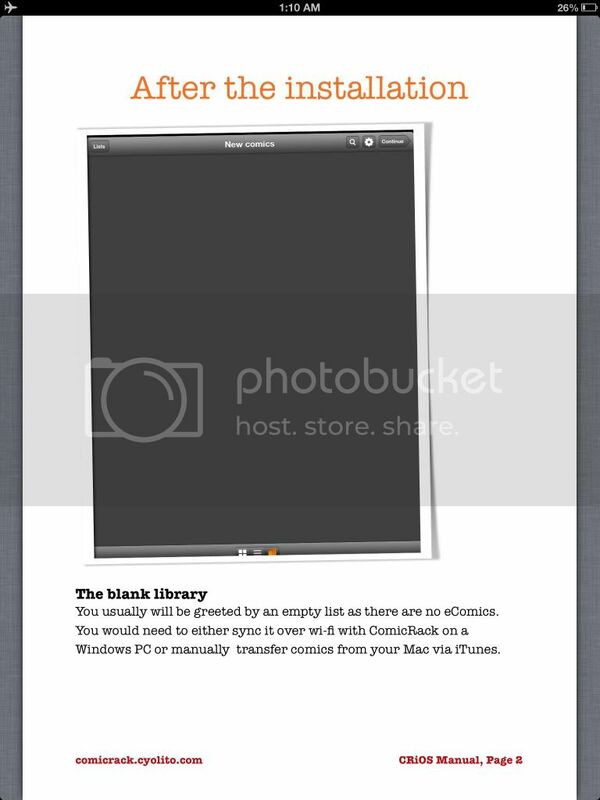 Alternatively, we can have a simple PDF manual that everyone can download from the forum. Shall I continue making this? 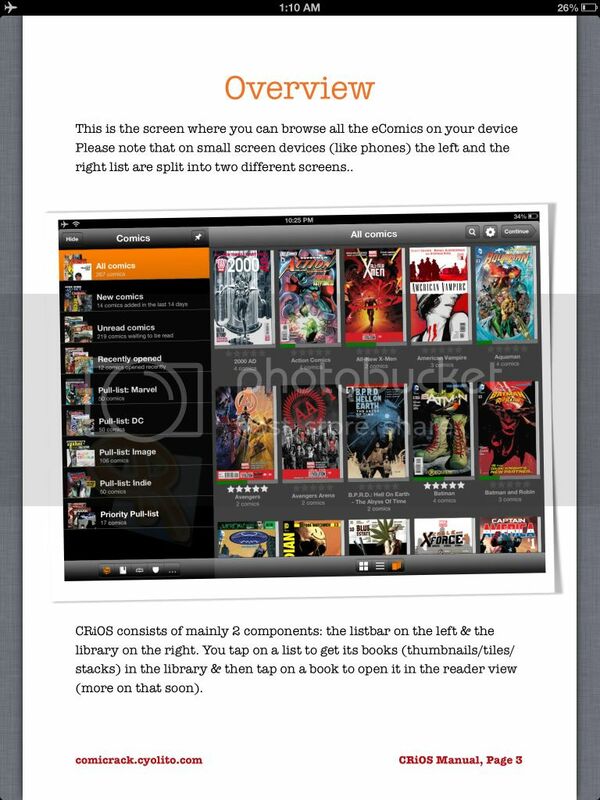 This would be really useful for new users of Comicrack. Why not do both versions? 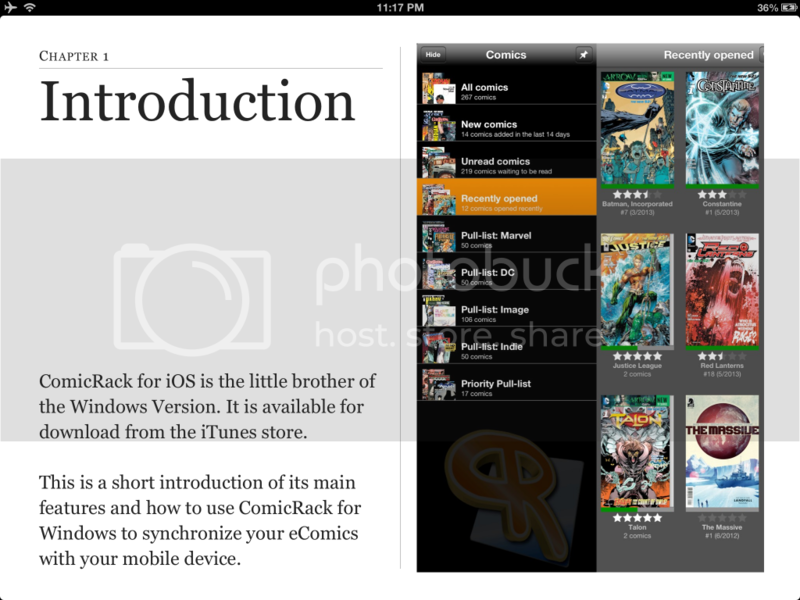 giving the user the option to have it integrated within the CRiOS version via the PDF or having it separate on ibooks. 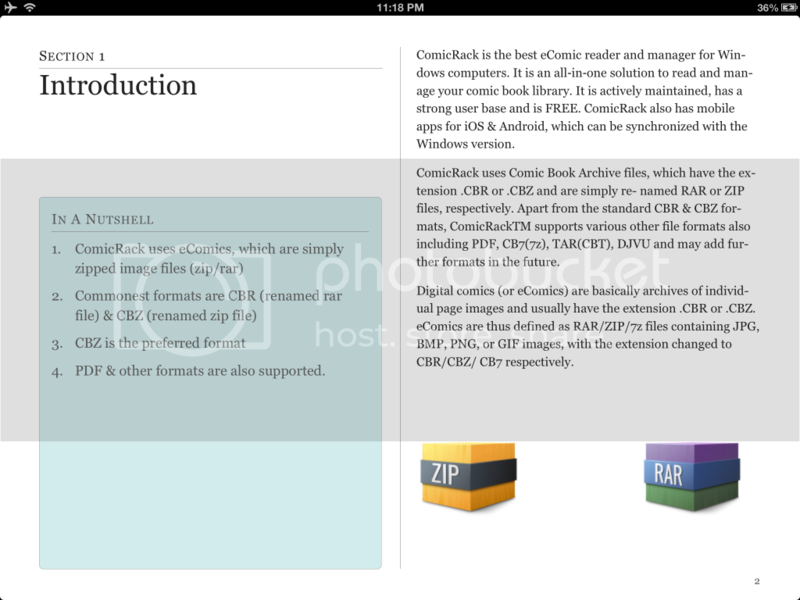 Can be done, but I'm now leaning more towards the standalone PDF/CBZ. However, what I'd really love is to get this IN the CRiOS library when the user first opens the app after a fresh install. @600WPMPO: sent you a PM regarding this. 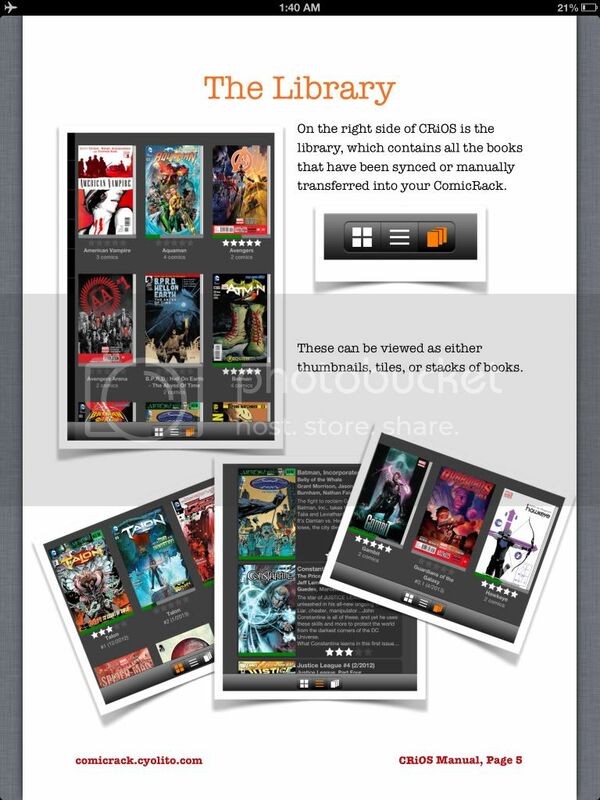 That even better From my understanding when CRiOS is first opened there is nothing for new users to see within the library, by having the CRiOS user manual within the library it gives new users something to see and use and get to grips with the basic functionality, prior to uploading their comics. 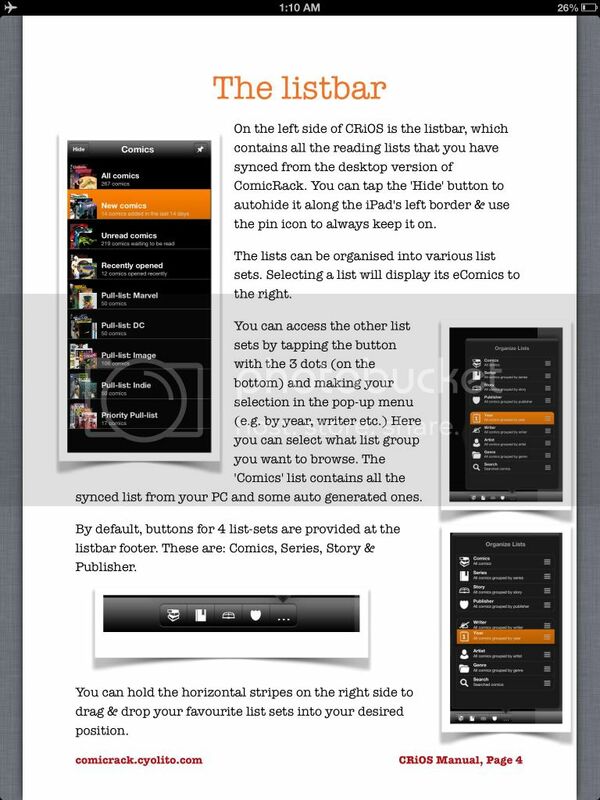 Comiczeal have a user manual so why not Comicrack!! It should be a CBZ included like the quick manual in the Windows version. Thanks a lot for letting me do this! At my workplace I showed around your manual for CRW and said that it is amazing, that our professional documentation apartment is not able to make a handbook in this quality. Everyone agreed with me. Last Edit: 5 years 11 months ago by cYo.